Jetta Trunk Bracket Fix your latch! Compare to 1J5827425E and 1J5-827-567-A - AARodriguez Corp.
New brackets are in stock! 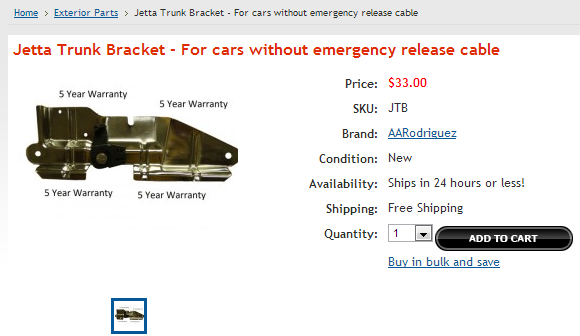 The MKIV Jetta trunk-latch bracket aka. carrier plate is the cause of most of the problems you may be experiencing with your trunk latch. read this thread for an easy and inexpensive way to fix it.